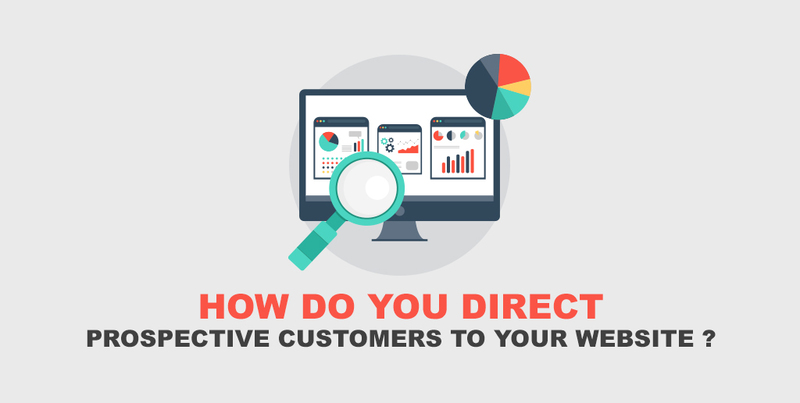 How Do You Direct Prospective Customers to Your Website? - WOW - Connect with ServerFreak "Best Hosting Provider in Malaysia" WOW – Connect with ServerFreak "Best Hosting Provider in Malaysia"
How Do You Direct Prospective Customers to Your Website? You have just finished building your own website and you expect that visitors are automatically going to start coming in. Unfortunately, it doesn’t usually work that way. But, the good thing is that you can do something about it. There are many ways to drive traffic to your website, both online and offline. Some methods are free or pretty low cost, but require more of your time, and other strategies are fee based. The first thing you need to do is figuring out what keywords people would use to find your site. Then, incorporating SEO, you should make the home page a little more “search engine friendly”. For example, creating a different title tag, and adding description and keyword meta tags. The main headline should show customer wanted benefits. The content itself could be changed to include the benefits of the products and include the keywords. By making these changes, you should see more organic, natural traffic to your site. You can use fee based Pay-Per-Click (PPC) ads to buy traffic as well. For example you would create a Google AdWords or Bing Ads campaign, using the keywords you came up with earlier and create some paid ad campaigns. Buying banner ads on sites that relate to your products is another way. Just make sure the ad copy is compelling with a strong headline. Another strategy is to find some online discussion groups, forums, or popular blogs related to health & fitness, weight loss or parenting etc. Contribute some “non-salesy” valuable information as answers to their member’s questions and make sure to put a link to your website as part of your signature (if they allow it). Heck, even prepare a press release for yourself and submit it to some of the free press release sites. These methods will introduce you as an “expert” and hopefully some of them will read your info, like it and contact you! Here are top 3 proven press release sites which are free to use. By submitting your press release to these press release websites, you can be sure that press release will appear in Google News! Offline, you could and should use direct response marketing, such as sales letters, postcard marketing, space ads, or any other form of direct mail to compel readers to check out your website. Again, the use of powerful headlines and customer benefit-oriented copy will almost make the reader to visit your website and purchase your product. In a nutshell, there are many ways to get traffic, free and paid, online and offline. A combination of strategies is often the best way to get the highest quality traffic. With that said, I hope the tips described above will be useful to your current website marketing efforts!